The TR-3B is a secret government spacecraft that has been flying in our skies since 1994. You can do your own research on this craft, however because it is a classified project you may not find much on this. I have done lots of digging, and I think it is a strong possibility that this craft actually exists. It is indeed powered by an onboard nuclear reactor. It is completely silent and can be seen as a triangular shaped craft that has 4 lights. It has one light on each corner of the triangle along with a light that is in the center. All of these lights can be seen on the underside of the craft. This aircraft also has a code name of Astra. This aircraft has advanced stealth technology that is even far more advanced than the B-2 stealth bomber. It has a polymer skin that allows it also to change it's reflectiveness and even change shapes to the human eye. There are many videos on YouTube that show sightings of this craft. 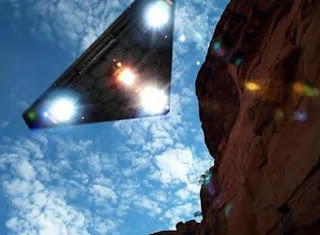 The government of course denies its existance entirely, however there are so many sightings, and scientists that have worked on the project that have come forward, that it should be considered as fact that it exists by the American public. The only problem is no one does research about it and very few people know that it actually exists. That is why I am writing this article. It is also known that the stealth polymer skin can even change the shape to look like a flying "cylinder". So many people have also documented and recorded crafts of this description flying in the skies of the United States. This craft on top of having advanced stealth, can also trick radar equipment into thinking that there are multiple aircraft in other locations to serve as a decoy, and further allow this ship to remain undetected and to setup a very clever diversion. A circular plasma filled accelerator ring called a magnetic field disrupter surrounds the rotatable crew compartment. This technology is far ahead of any technology previously known by any government on the planet. Was this craft reverse engineered from other crash landed alien ships/technology? The TR-3B is a high altitude stealth aircraft. It has an indefinite time it can sustain its altitude. Once you get it high up there and going fast, it doesn't take much propulsion to maintain its altitude and trajectory. At the Groom Lake military base there are rumors that there is a new element that acts as a sort of catalyst to the plasma reaction. This causes the vehicles mass to be reduced by exactly 89%. The craft can go at mach 9 speeds both vertically and/or horizontally. The performance the TR-3B is only limited by the stress the human pilots can indure, which is a lot, considering that along with the 89% reduction in mass, the G force is also reduced by 89%. The start of the creation of this craft can be traced back to the 1940s and 50s. Mostly because of Project Redlight. Project Plato, originally established as part of Project SIGN in 1954 its purpose was to establish diplomatic relations with extra terrestrials. This project was deemed successful when mutually acceptable terms were agreed upon. What those terms exactly were is unclear. However many high ranking individuals in secret government positions have come forward speaking about this. What I am sure of is that these terms involved the exchange of technology from aliens, while we did NOT interfere with alien affairs on this planet. The aliens agreed to provide MAJI with the means and the technology as long as they didn't interfere with the alien's agenda. I am assuming this had to do with the abduction and experimentation on the human population. This project is being continued on a military base in New Mexico. 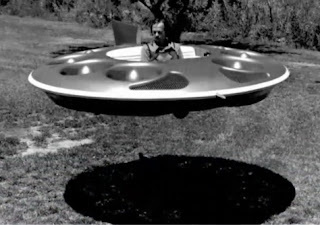 Project Snowbird established in 1954 was created for the purpose of building a flying saucer type craft for the public. This project was successful when a craft was built and flown in front of the press. This project was used to explain most of the UFO sightings that were occuring in that time. This project was also used to divert the public's attention from Project REDLIGHT. 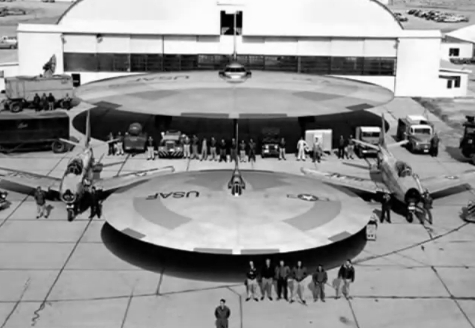 The objective of project REDLIGHT was to fly recovered alien craft, however the project was postponed after the death of many United States Airforce pilots that were killed in trying to operate these crafts. All of these test flights occured in Area 51 (Groom Lake). Some of these test flights also occured at a secret military base code named DREAMLAND. Project REDLIGHT resumed in 1972 when the flights of some of these recovered craft were partially successful and accompanied by black helicopters and f-15 fighter jets. I have done lots of research on this subject and I am positive that our government is hiding this from us. Many of the UFOs that are seen in our skies are actually reverse engineered alien crafts built by the United States Airforce. Please leave comments on what you know on the subject. I have scoured the internet looking for clues. Any help would be greatly appreciated. It is time we start investigating this ourselves. Main stream media is not the way to the truth. Many people do not keep tabs on our government. I feel that is our right as citizens of the United States. If they don't want to tell us the truth, we have the right to search for the truth ourselves. Great job compiling the information! I have seen a pentagon shaped craft that I was reminded of when I saw the triangle craft in your first picture. The difference was there was no light in the center only blue lights around the perimeter of the the craft. When I was this craft it had a almost paralyzing effect on me. Why I do not know but I must say it was both extremely exciting and somewhat scary at the same time.